For most parents, the biggest hope for their children is simply that they are healthy and happy. And one can’t be happy without being in good health. One of the most important things you can do for your child’s health is to ensure that they are getting all of the vitamins and minerals their growing bodies need. Here are the most important foods and vitamins that you can give to your growing children. As easy as it is to not argue and let them eat hot dogs and mac and cheese and then give them a chewable multivitamin, it really is not the best way for their health. It is important that your children get a lot of their vitamins and minerals directly from the foods they eat. Teaching, while they are young, to love fruits and vegetables will carry on with them in to adulthood, and is a wonderful gift to give them. Let’s break it down by vitamin so you can find ways to work new foods into their diets. Vitamin A is a very important vitamin for growing children. This vitamin fights free radicals and is vital if children are to have healthy teeth and beautiful skin. A deficiency of this vitamin can actually cause complete blindness, and is the leading cause of childhood blindness that could be prevented throughout the world. Other issues are night blindness, immune system weakness and dry itchy skin. Not to fear though, as there are plenty of ways to work this vitamin into your child’s diet. The child friendly vegetable, the carrot, is high in vitamin A. Apricots, spinach, eggs, grapefruit, and pumpkin also have a high amount of vitamin A.
Vitamin C is another important one as it is vital in the formation of collagen, which is what, forms important things such as skin, muscles, and even blood vessels. Without vitamin C children can develop problems with their joints and teeth, they can bruise easily and take a long time to heal. They may also be very irritable and lethargic. Not to worry though, there are plenty of ways to get adequate Vitamin C into their diets. Oranges are an obvious choice, but cantaloupe, pineapple and blueberries all have high amounts of C as well. Vegetables that contain a good amount of the vitamin include sweet potatoes, red bell peppers, broccoli, summer squash, spinach, and that fruit that masquerades as a vegetable—the tomato! Vitamin D should also be a concern if you want your children to be at their healthiest and best. Vitamin D is what helps growth, helps ward off rickets, and helps avoid scoliosis. Children that do not get enough vitamin D while they are infants can have delays in learning to sit up and in crawling. With a prolonged deficiency, many can experience neurological problems that can affect the mouth, muscles, and hands. Seizures are also possible without this crucial vitamin. Basic symptoms at the start of a deficiency will include pain in the muscles and bones, and overall weakness. The best source of vitamin D is simply sunlight. Peel those kids away from the TV and send them outside to play! Food sources of vitamin D include fish such as salmon and tuna, eggs, cheese, milk, and fortified cereals. This may seem like a lot to worry about, but really it is simple. 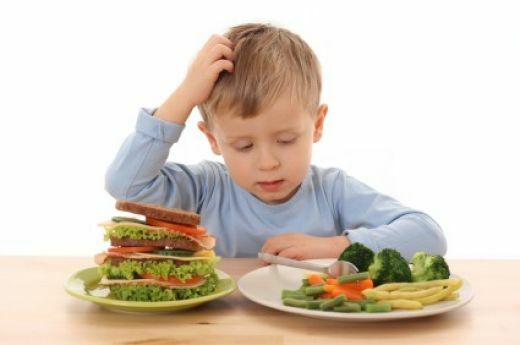 Be sure your children are getting plenty of fruits, vegetables, whole grains and other healthy foods and they will grow up strong and healthy. Variety is the key. If they don’t like a certain vegetable that contains a vitamin, try one of the other options on the list. Variety helps ensure they get what they need during their important years of growth.